Expand the digital reach of your content with Purple Digital Stories (also known as Purple DS). Distribute through multiple digital platforms and channels with an easy to use tool. Distribute your content to web and mobile quickly and intuitively at an affordable price. Purple Composer and Purple Manager give you the tools to create animations, manage issues, and build native apps. Additionally, Purple DS uses plugins for standard Adobe Creative Cloud design apps. Purple DS has the ability to distribute by article and/or issues. 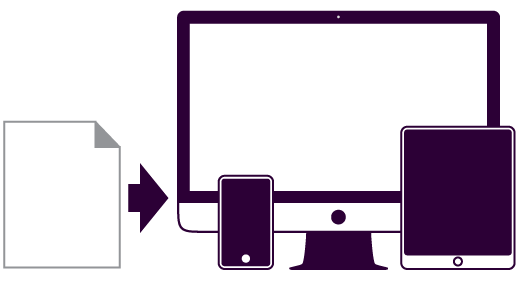 From article-by-article channels to in-app purchases for monthly issues, Purple DS gives you the ability to monetize your content in the way that works best for you. Add Purple DS® to your MagHub account with one of three simple options.